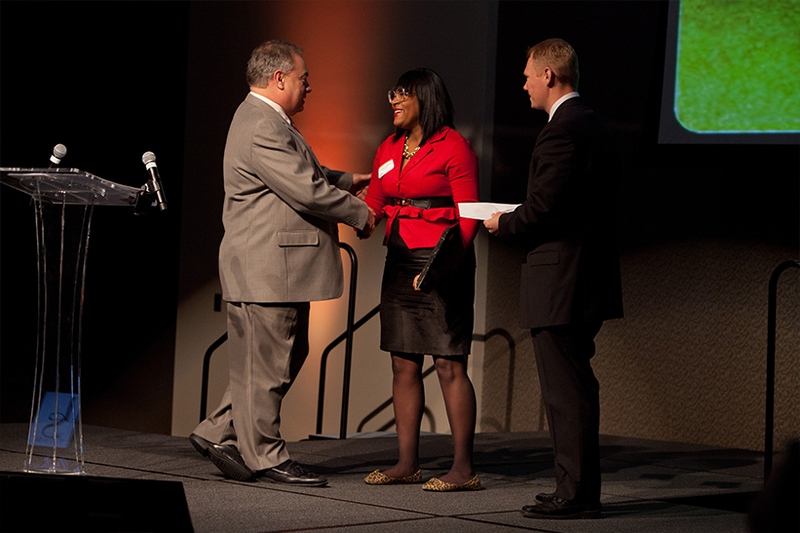 The NIIC’s annual Ideas@Work Signature Event Series convenes up to 500 entrepreneurs, business leaders, and students to fuel the innovative and entrepreneurial spirit in Northeast Indiana and the greater region. The Parkview Mirro Center for Research and Innovation serves as the event venue. This event series has featured dynamic, distinguished leaders in innovation and entrepreneurship. Registration is open (click here) and sponsorship opportunities are available. Santiago Jaramillo, CEO and Co-founder of Emplify, will serve as keynote speaker for The NIIC’s Ideas@Work event on April 16, 2019, at the Parkview Mirro Center for Research and Innovation. Attendees will be engaged and inspired as Jaramillo shares Lessons Learned from a Purpose-Centered Entrepreneurial Journey. As the CEO and co-founder of Emplify, Santiago leads a team of engagement experts to unlock human potential through more reliable employee engagement insights for better decision making. From humble origins, Santiago immigrated to Florida with his family after escaping a kidnapping at his church by the militia in Cali, Columbia. Through this experience, he learned the importance of adaptability and grit which have been grounding principles for him throughout his business career. A serial entrepreneur, Santiago has developed and grown multiple small and midsize companies. Most notably as the founder and CEO of mobile app platform, Bluebridge. Santiago grew the company from his college dorm room to become the premier app platform to churches and tourism destinations across the country. Under Santiago’s leadership, the company grew to over 45 employees in four years and nearly 500 customers across the world. In November 2016, Bluebridge church and tourism was acquired by PushPay and Simpleview, respectively, for a combined $8 million dollars. Santiago has spoken to and trained thousands of CEOs and HR leaders across small, mid-market, and Fortune 500 companies on the importance and business value of employee engagement. In 2013, Santiago was named to Inc. magazine’s “30 Under 30” list. He was also invited to the White House for recognition of his entrepreneurial contributions through the Champions of Change Program. Most recently, he was named to Indianapolis Business Journal’s Forty Under 40 list in 2015 as one of the youngest honorees in the program’s history. He received the award for Indiana Latino Businessman of the Year in 2016. A nationally recognized expert and keynote speaker on employee engagement, Santiago Jaramillo is the co-author of Agile Engagement, an Amazon best-selling book that provides employers with a framework for measuring employee engagement. We look forward to seeing you at 2019 Ideas@Work! 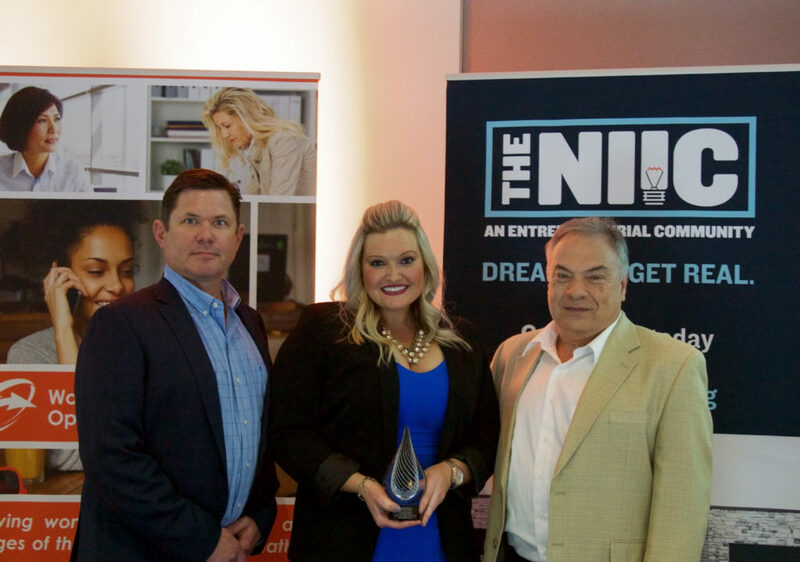 For Wayne native Angie Hicks, Co-founder, Angie’s List and Chief Customer Officer at Angi Homeservices, served as event keynote speaker and focused on what it means to be an entrepreneur. We spotlighted and celebrated the entrepreneurial energy in our community. 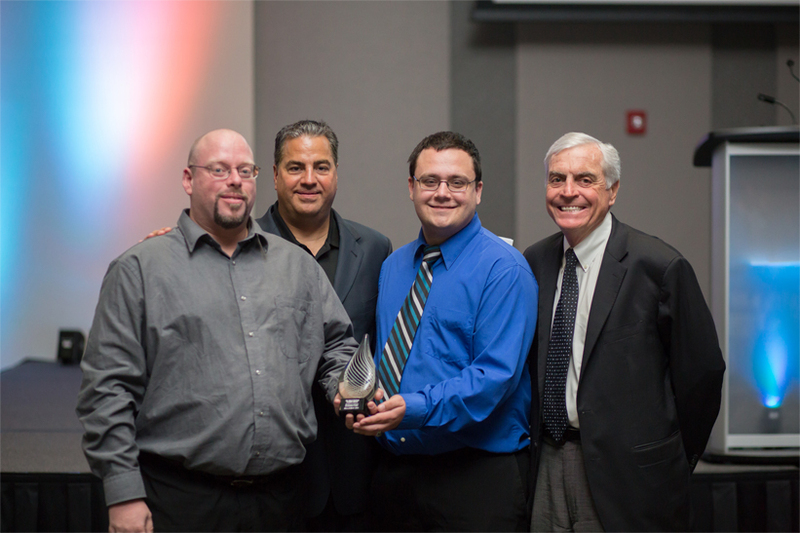 We awarded the Mirro Student Founder Award to 3B Apps. New for this year, we also recognized women-owned tech companies who completed Phase 1 of our new WEOC Launch Women Business Builder Program, including Rhapsody Art Gallery & Studio, Simple Sample Solutions, and co-owners of an online pilates company yet to be named. Click here to read the news release. Keynote speaker for 2017 Ideas@Work Event was U.S. leading entrepreneurial educator Dr. Donald Kuratko (Dr. K.), The Jack M. Gill Distinguished Chair of Entrepreneurship; Professor of Entrepreneurship; and Executive & Academic Director of Johnson Center for Entrepreneurship & Innovation at The Kelley School of Business at Indiana University, Bloomington, Indiana. Eric Doden, President, Indiana Economic Development Corporation (IEDC) served as keynote speaker to provide Indiana state-wide perspective to attendees. He focused on Barriers of Economic Development: Observations from a 92 County Tour. The Ideas@Work Signature Event Series also serves as a platform to recognize an outstanding NIIC Student Venture Lab (SVL) client. Established in 2015, the award was named after Dr. Mike Mirro, a prominent physician, entrepreneur, visionary, researcher and community leader. Dr. Mirro was the founding board chair of The NIIC. Award recipients are selected from clients of The NIIC SVL Program.The SVL offers student entrepreneurs an opportunity to start and grow a business in a supportive, success-focused environment. The SVL offers seed investment—and much more—to selected student-owned startup ventures. The SVL is supported by The Ideas@Work Signature Event Series and generous sponsors: IAB Financial Bank, Lincoln Financial Foundation, and The Edward M. & Mary McCrea Wilson Foundation. 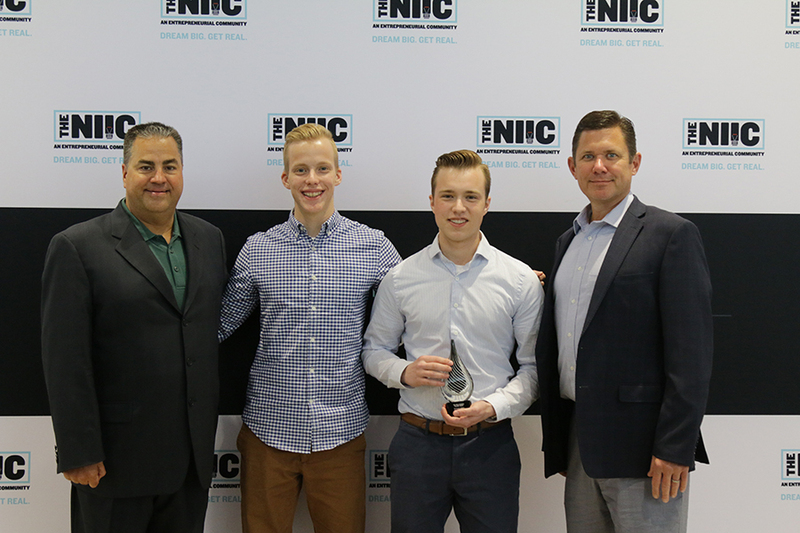 The 2018 Mirro Student Founder Award Recipient 3B Apps, founders Nathan and Mitchell Skees.